Homeopathic medication, is a therapeutic orientation focused on the idea that the body can mend itself. Homeopathy was established in the late 1700s in Germany and has been broadly practiced in Europe. Homeopathic medicine suggests that disease is the body’s reaction as it tries to recover. Homeopathy is focused around the thought that “like cures like.” That is, if a substance causes a symptom in a healthy individual, giving the individual a small amount of the same substance may cure the ailment. In principle, a homeopathic treatment enhances the body’s ordinary mending. A homeopathic health professional (homeopath) uses drugs containing a small amount of a plant or mineral for treatment of sickness. These are known as profoundly weakened or “potentiated” substances. Homeopathy has been controlled in the United States since 1938 and is thought to be safe. Some critics of homeopathy claim that there is so little active ingredient in a treatment that any benefits are likely not because of the substance but instead because of the placebo effect. It is imperative to tell your doctor if you choose to utilize homeopathic cures. He or she ought to have full information of your health to help you make good choices about where to buy homeopathic treatments and what homeopathic professional to see. Do not substitute homeopathic cures for ordinary medicines for genuine health concerns. You can purchase some homeopathic solutions at health foods stores without a prescription. Arrangements from distinctive suppliers and professionals may change. 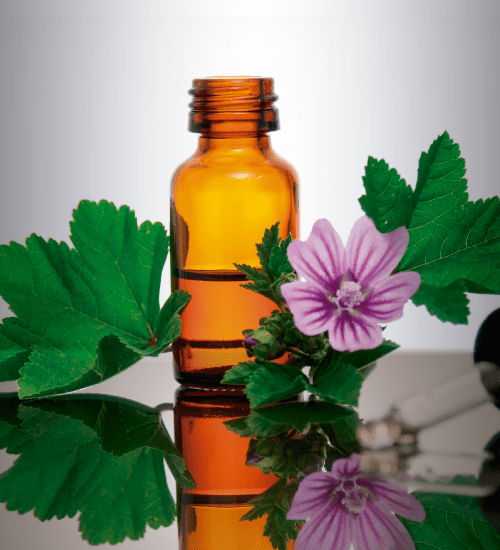 Tell your specialist if you are using a homeopathic remedy or if you are considering combining homeopathic options with your routine medicinal treatment. It may not be safe to stop your ordinary medicinal treatment and use only the alternative treatment. What is Homeopathy Used For? People have used homeopathy to stay healthy and treat a variety of long-term illnesses, including anaphylaxis, atopic dermatitis, rheumatoid joint pain, and irritable bowel syndrome. They have additionally used it to treat minor wounds, like cuts and scratches, and muscle strains or sprains. Homeopathic treatment is not viewed as suitable for diseases like cancer, coronary illness, significant contaminations. Many homeopaths claim that this concept has its origin in Ancient Greek Medicine, where Hippocrates prescribed mandrake root in a smaller dosage to treat mania, though he knew that the mandrake root resulted in even larger doses of mania. This was around 400 B.C. According to Samuel Hahnemann, disease was caused by miasms. Remedies involve dilution of the chosen substance in either alcohol or distilled water, a process succession, that continues until all the molecules of the original substance have dissolved. Homeopaths believe that the more a substance is diluted, the more effective it is in the treatment of symptoms. The remedy will be selected based on the patient’s personal traits, psychological state, life history, and symptoms. The practitioner will consult a book called a repertory and choose the remedy that he deems best. The debate on the effectiveness of homeopathy rages on. The 19th century saw a tremendous rise in the popularity of homeopathy. Hans Birch Gram, Hahnemann’s student, introduced it to the U.S. in 1825. Ten years later, the first homeopathic school opened. In 1844, the first school of homeopathy was opened in the U.S. By the end of the century, there were 15,000 practitioners and 22 homeopathic colleges. Homeopathy’s sudden popularity resulted from the better outcomes when compared to patients treated using the times’ conventional medicine, like purging and blood letting. The latter involved dangerous and ineffective treatments, thus the former produced better results. Moreover, the former caused no harm, even when ineffective. Homeopathic treatment proved particularly effective in the treatment of epidemics like cholera, which bedeviled the 19th century. If homeopathy was this effective in the 19th century, how comes it has now been termed “scientifically implausible”? Could the “implausibility” be based on advances in medicine? How come homeopathic hospitals still exist today? Do homeopaths and their patients believe in a lie? What is the final verdict? Does the ultimate decision whether to go for this specific type of treatment lie with the patient or with the government? These are the issues that revolve around alternative medicine and modern conventional medicine. In 2010, the Science and Technology Committee from the House of Commons in the United Kingdom concluded that placebos and homeopathic remedies were similar in of performance. Moreover, the underlying principles of homeopathy cannot be plausible scientifically. The government agrees that homeopathy is synonymous with a placebo, but continues to fund homeopathic hospitals. Placebo treatment may make the patient fail to visit a conventional hospital because they feel better due to the placebo effect. If there is a more serious disease that requires more ‘serious’ treatment, it many not be diagnosed. This undoubtedly compromises the health of the patient, as well as professional ethics, because placebos should not be administered to treat disease. Only the symptoms are treated, but the disease itself remains untreated. Homeopathic treatment is available in some hospitals. A typical visit to a practitioner involves a brief description of your health, emotional state, diet, general wellbeing, and lifestyle. The practitioner decides on the best treatment based on available information. A capsule, tincture, or pill will be administered. A number of follow-up appointments may be necessary so as to assess the effect of the treatment on your health. What Conditions can Homeopathy Treat? Homeopathy treats a variety of conditions, for instance ear infections, food allergies, arthritis, asthma, hay fever, dermatitis, high blood pressure, cuts, muscle strains, muscle sprains, and even psychological conditions like stress, anxiety and depression. Some homeopathic practitioners also claim that it can prevent malaria. 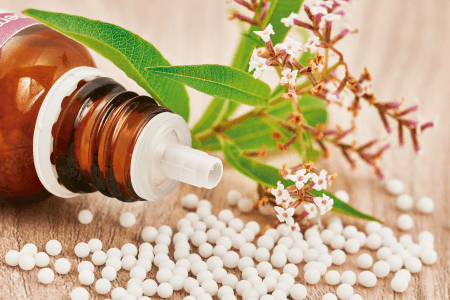 How Safe is Modern Homeopathic Treatment? Generally, it is safe. There is minimal risk of any adverse side effects. However, it is important to note that some homeopathic remedies could contain unsafe substances, or those that could interfere with conventional medicine. Homeopaths are not licensed. This means that virtually anyone can claim to be a practitioner. It is advisable to look out for recommended organizations that can help you identify a reputable practitioner. There are some established practitioners like Dana Ullman, described as the “Leading Homeopathy Proselytizer” by TIME magazine and as the foremost spokesman of this alternative treatment by ABC News. Practitioners like Ullman are reputable, since he speaks in medical schools and universities, has authored ten books on homeopathy, and has a column at the Huffington Post. It seems that you, the patient, make the ultimate decision on whether to go for homeopathic treatment or not. The government has no clear stand on this, since the treatment involves administration of a placebo, yet the same government funds homeopathic hospitals. Moreover, homeopaths are not licensed, leaving the field at a high risk of having a high influx of quacks. The medical field offers no clear solution either, since the treatment alleviates symptoms of disease, yet it is only a placebo,. Despite the debate, homeopathy has transcended many periods of medical history. People like Ullman have established themselves as reputable homeopaths and have their followers. Maybe a combination of both homeopathic and conventional treatment is the best way forward. The ultimate decision lies with you. If you feel homeopathic treatment works for you, then go for it. You may however need to consult your general practitioner just to ensure that no substances react with conventional drugs, or to identify any underlying disease, which may not be identifiable via homeopathy.